The transit agency says it doesn't have enough cash to give modest raises to workers, but that's because the large corporations that have benefited the most from its services pay almost nothing for them. 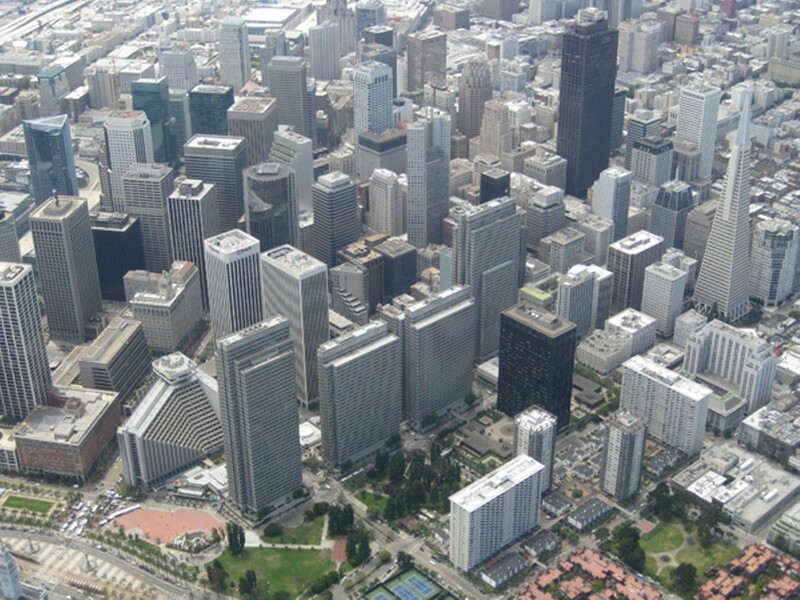 The value of property in downtown San Francisco has skyrocketed since BART was built. BART's board of directors, many of whom were elected on progressive, pro-labor platforms, have taken a hard line against employees at the bargaining table, arguing that the transit system is starved for cash. In truth, however, BART's financial documents show that the agency regularly diverts tens of millions of tax dollars each year that could be used to fund day-to-day operations — including worker salaries — toward expensive expansion projects, such as the planned rail extensions to San Jose and distant East Bay suburbs. Moreover, transportation experts say that BART has, in effect, provided massive financial subsidies to corporations and large land owners that have benefitted the most from its services by exempting them from having to help pay for the system. In fact, BART is funded almost entirely through regressive means — fees and taxes that impact low-income consumers the most. Currently, passenger fares and local sales tax revenues make up 87 percent of all revenue in BART's operating budget. In addition, BART directs some of these funds to pay for capital projects, including rail extensions. But transit policy experts say that revenues generated by sales taxes and rider fares are poor sources of funding for system expansion. Moreover, the diversion of such funds to capital projects means that BART is effectively underfunding operations and maintenance, and squeezing the pay and benefits of its workforce in the process. Transit experts say that this has made BART appear starved for money, and is one of the causes of the strike that choked the Bay Area two weeks ago — and could do so again in August. Worse still, experts say the biggest beneficiaries of the BART system — large corporations and real estate owners around the stations, especially in downtown San Francisco — have paid virtually nothing toward BART's costs during the past several decades. It doesn't have to be this way, though. BART has the authority under California law to seek revenue from more progressive sources, such as taxing the increase in land values its system has helped create. If BART tapped into this major revenue stream, it could reduce fares for riders, build out the system, minimize its dependence on difficult-to-obtain federal grants, and avoid the labor-management conflicts over the budget that precipitated the strike. According to Robert Cervero, a professor of urban and regional planning at UC Berkeley, BART has failed to tap into potentially enormous streams of funding since it was built in the early 1970s. One of the biggest funding sources for the system's initial construction and expansion should have been special real estate taxes levied on property owners who then experienced enormous land value increases after BART stations were built. BART, a publicly funded transit system, created huge windfall profits for the owners of land and buildings near train stations, particularly in downtown San Francisco. "BART has not been anywhere near as entrepreneurial as other transit agencies around the world in leveraging the real estate land value increases it helps create around stations in helping to pay for the system," noted Cervero. To understand this lost opportunity, Cervero has conducted several detailed studies of how land values in parts of the Bay Area changed after BART's construction. 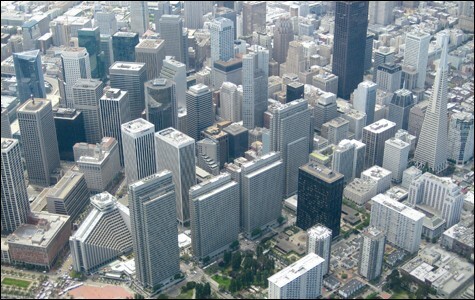 His findings, confirmed by other researchers, show that land owners in downtown San Francisco, mostly large corporations, saw dramatic appreciation of their property values in the 1970s through the '80s thanks to BART. Over the years, the train system has delivered millions of suburban workers to major corporate employers in San Francisco's downtown, thereby helping those companies thrive and expand. Office rental rates and land values also exploded upward after BART's construction. "Failing to exploit real estate land-value increases BART has helped to create is a huge missed opportunity," said Cervero. BART has instead continued to rely on sales taxes and federal tax dollars to fund the system's expansion, even though the operations and maintenance costs to keep the current system in shape have grown over the years. Richard Marcantonio of Public Advocates, a nonprofit law firm engaged in transportation policy, likens transit budgeting practices in the Bay Area to cannibalism. "We're cannibalizing the existing system to build these politically popular expansions," Marcantonio explained. "BART has been shifting operations money to capital money, and over the years this up-streaming uses up funds that could be spent on the existing system in order to expand it. The result is that you end up having less and less to operate and maintain the system you already have." The strike that shut down BART two weeks ago was caused partly by this inequitable status quo, according to Marcantonio. "When the time comes for unions to re-up their contracts with BART, and the unions then strike because they don't want to take a pay cut, you have this false story line going out that the reason is workers are asking for too much pay," said Marcantonio. "The real reason is that we're starving the system for the operations dollars actually needed." Marcantonio also compared BART's budget problems to world hunger. "There's plenty of food out there, but the question is how you distribute it." Here's how the distribution currently breaks down: According to BART's 2013 adopted budget, passenger fares supply 57 percent of the agency's funding. Sales taxes levied in San Francisco, Alameda, and Contra Costa counties cover another 30 percent of BART's fiscal needs. Property taxes make up less than 5 percent of BART's budget, even though the system's impact on real estate values in a few Bay Area hotspots has been immense. BART then diverts a big chunk of the sales tax revenues it receives to its capital budget, and while this funding includes covering costs associated with maintaining the current system, it also involves spending money on system expansion. Sales tax receipts collected by or granted to BART from other state and local agencies also are used to pay off bonds associated with previous extensions of the rail system. Additionally, certain passenger fare surcharges go toward paying off the bonds used to build out the BART system. Other California and regional sales taxes are already earmarked to fund expansion projects like the planned BART line to Warm Springs in Fremont, and the extension planned for eastern Contra Costa County. BART also plans to steadily hike fares over the coming years to fund operations. All these highly regressive sources of funding — which ultimately fail to generate enough revenue for BART to divide among operations, maintenance, and expansion — leave transit experts like Tom Gihring and Jeffery Smith scratching their heads. Gihring and Smith study land use and transit finance policies, and advise local governments in the Pacific Northwest. Like Berkeley's Cervero, they say the best way to finance new transit infrastructure, and pay for the expansion of existing systems, is to "capture" the value created by the public's investment when the system or extension is built. "There is ample evidence that rail transit enhances land values near transit stations," Gihring told me. Gihring, Smith, and their colleague Todd Litman of the Victoria Transport Policy Institute of Canada have compiled a list of more than one hundred studies showing the link between transit investments and real estate values around the world. "A basic principle in liberal economic theory holds that legitimately created value belongs to the creator of that value," wrote Gihring and Smith in a study of transit funding policies published in the American Journal of Economics and Sociology in 2006. "Hence, government in its role as steward of publicly created value is justified in collecting what the community has given." Gihring and Smith advocate that these funds be used to pay back bondholders who finance a transit project and to make down payments on future improvements. "It's fair for public jurisdictions to recapture publicly generated land-value increases," Smith told me. Smith laments the fact that BART never used such a strategy to raise funds for system construction and expansion. "That was the plan of some back when [Ronald] Reagan was governor, and the Mills Act was passed into law to fund transit systems with assessment districts empowered to recover the resultant rise in site values." Cervero contends that the best way to increase funding for BART "would be to create a benefit assessment district" around its major stations, especially in downtown San Francisco. "Typically, benefit assessment districts require the majority of property owners in the district to approve the district and the set aside of funds for BART," he said. "This would not run afoul of Prop 13." BART's existing powers as granted under the California Public Utilities Code, in fact, provide the agency with the option of pursuing these revenue-enhancement strategies, also known as land value recapture. BART is authorized to create special assessment districts that could tax real estate around newly built stations, for example, and use those funds to pay off bonds that paid for the station expansion and other expenses. Large commercial property owners in the Bay Area, however, have traditionally resisted such proposals to fund BART and other transit projects. "Those private parties sway far more political influence than you or I," noted Smith. "Land value recapture is a great idea," Marcantonio agreed. But he added that many large property owners oppose such ideas and think, "'Why should we fork over our windfall profits when poor people can pay?'" As a result, it would be an uphill fight to convince real estate interests and corporations in San Francisco to agree to pay taxes to help BART when there's no incentive for them to do so — since the system has been serving them for decades. However, that may not necessarily be the case for land owners and companies that stand to benefit greatly if BART is extended to them in the future. "All of this works best if a transit agency takes this on early in the process," explained Cervero. "It's tougher to do with a mature, built-up system. [But] as BART extends lines to Livermore, San Jose, etc., it should consider introducing these kinds of assessment tools for properties near planned stations."